Having a vast selection of creative summer activities for kids makes the next 6-8 weeks of your life much easier. Your kids will be happier, you will be happier, and wonderful memories are made in the process. Check out the summer reading list here! Having a schedule to follow when I was a nanny to 8 children ages 3 to 12 was my biggest sanity saver! It takes a little bit to get used to it, and to map it out each week but it is so worth it. Check out my sample schedule that I follow every week. It is easier if you designate a theme to design your week around. 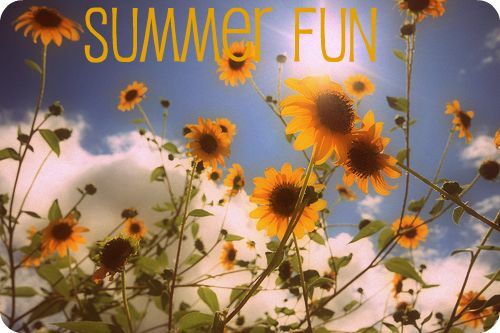 Here are some ideas for fun summer activities, also be sure to check out the outdoor activities page! If you celebrate Advent, or know someone who does, then you know the excitement that kids feel wondering what they will pull out of the pocket each day. This simple project is with complete instructions as well as daily ideas will keep excitement alive for the whole summer! What fun it is to go on nature adventure walks! Bringing a special bag with everything you need for a nature hike makes it even more fun for your kids. A great night before or morning activity during the super hot days of summer. Popsicles, homemade ice cream, sorbet, banana pops, and slushies are great treats! Even if you don't have a pool, there are a lot of fun water activities to do during hot summerdays! In all my years working and living with kids, even those resistant to reading enjoy doing things with the adults in their lives. Creating a book club can promote the love of reading in every member of your family! Check out the summer reading list! Each week I try and schedule at least one fun outing per week. This is a great trip for kids! You can do a theme week around it, or each of the animals. Getting a memership makes this a very affordable outing. So many places fall under this category, go to them all! Parks offer physical activity, exploration, and are a great way to break up the day. The local beach, pool club, community pool, YMCA, or maybe you own a pool. It isn't summer with out a healthy dose of swimming. While you are at the beach don't forget to collect some art supplies that you can use to make collages and other fun art projects. Did you like the creative summer activities page? Check out the weekly themes!